We manufacturer and install small venetian blind, large venetian blinds & horizontal venetian blinds for commercial and industrial application. 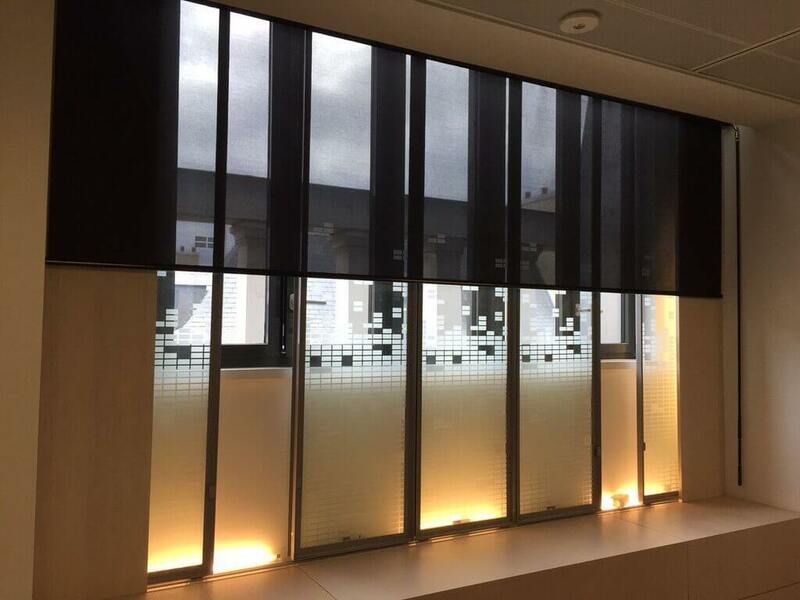 Our range of commercial blinds are versatile, practical and contemporary allowing you to adjust lighting levels instantly by altering the angle of the slat. 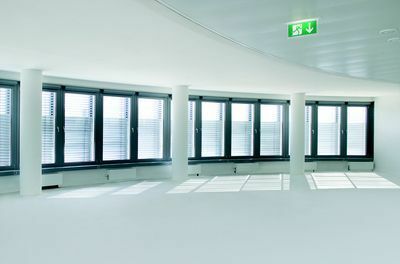 Sleek in design, Commercial Blinds UK offer a choice of colors and finishes which will ensure that your venetian blinds suit any style of decor. We can supply Venetian blinds that are available in wood or aluminium, with a matt, gloss or marble finish. Request an appointment with a local adviser today for a free consultation. We will then discuss your requirements, assess the size, type of windows and to find the perfect Venetian Blinds that meets your exact specifications. Venetian Blinds offer you precise control of light intensity and direction with the quick twist of a wand. 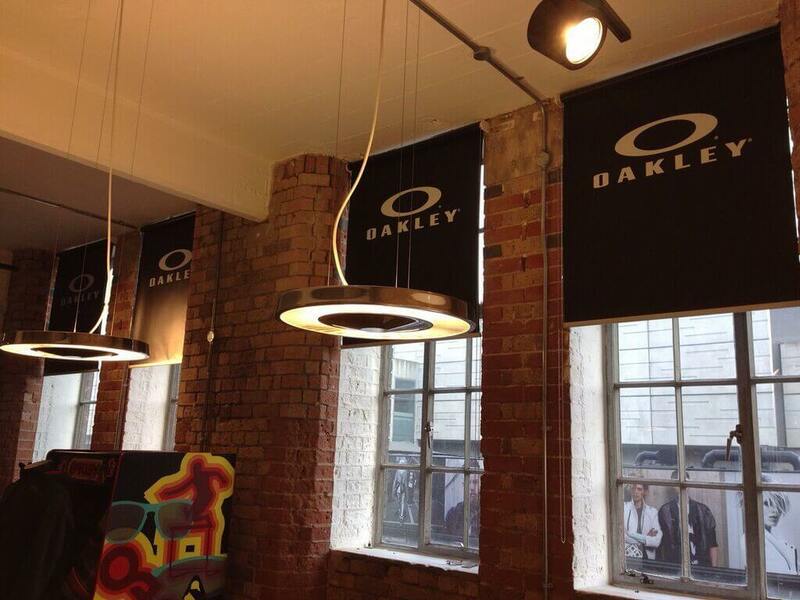 The classic window blind that allows you to sneak a peek of the outside world to help you think during office hours! 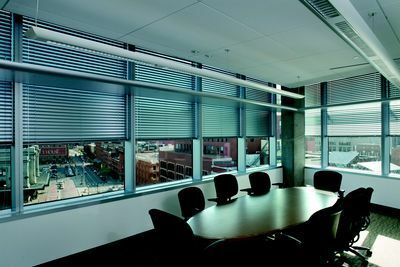 Commercial Blinds UK also supply real wood commercial venetian blinds. 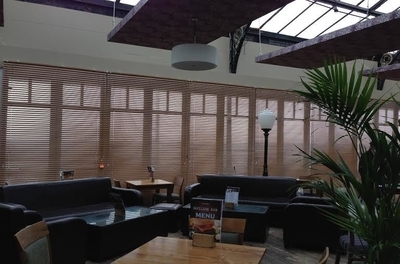 We work with Sumwood Blinds who are specialists in quality wooden blind solutions with 5 fantastic ranges – all which have a decent number of slat colour choices for you to browse. 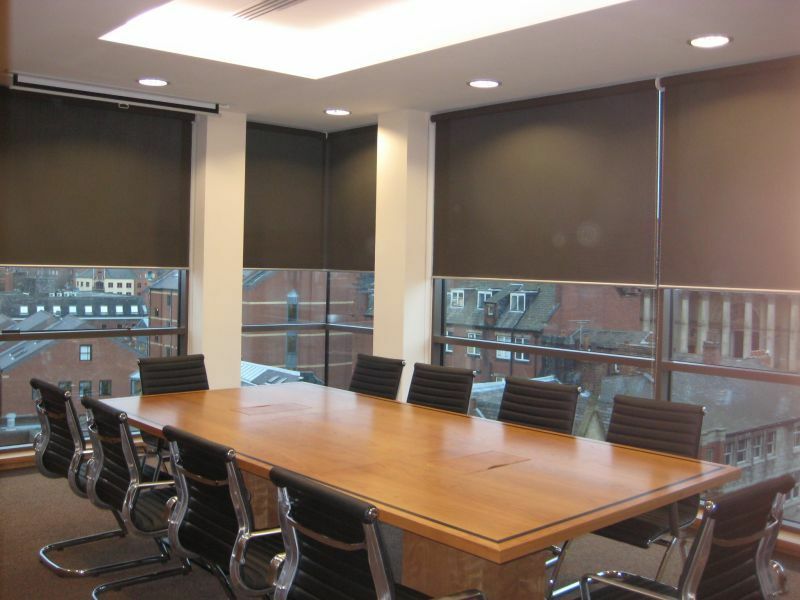 Commercial Blinds UK source fantastic commercial venetian window blinds from Turnils UK (based in the Midlands), part of the international Turnils Group. Turnils UK have been trading in blinds for over 50 years and offer over 50 different shades for the slats in your blind. Venetian blackout blinds block out all light and ensure rooms that require total darkness. These are available in in a wide range of fabric colors, and materials so you are sure that we have the style to fit your requirements. Our motorised venetian blinds are perfect for blocking light out and heat retention. These are fully automated venetian blinds so are easy to use and give you a stylish look. Electric venetian blinds for windows give you greater control in energy efficiency and a level of sophisticated automation. Our venetian blinds are sleek in design and can alter the angle of the slat based on what light is required. 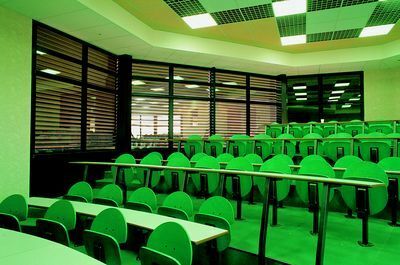 Venetian blinds are perfect for schools & universities, shops, hospitals and care homes, council buildings and other public buildings. With made to measure venetian blinds, you can have bespoke printed venetian blinds that meet the requirements of your windows and has your logo printed onto the blinds. 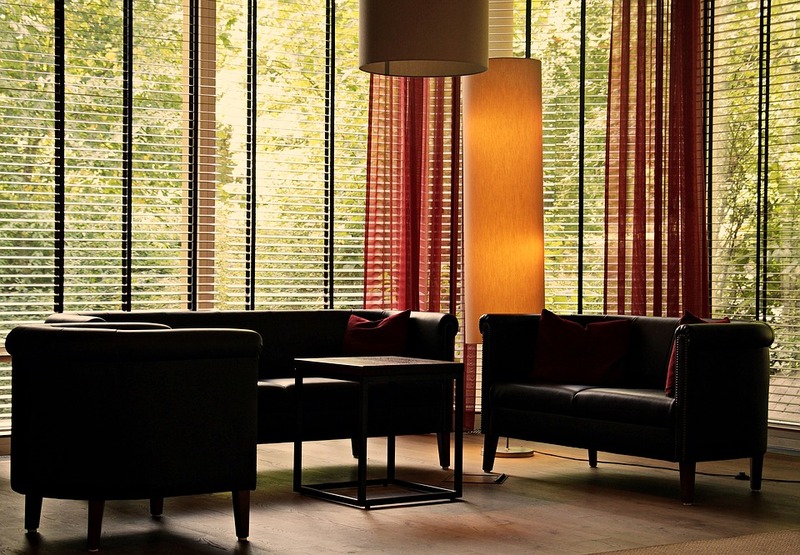 Our experts have years of experience in working with commercial Venetian blinds for offices, schools, hotels, restaurants, care homes and other public buildings in the UK and across Europe. Our Venetian blinds team work in way that requires no disruption to daily operations. 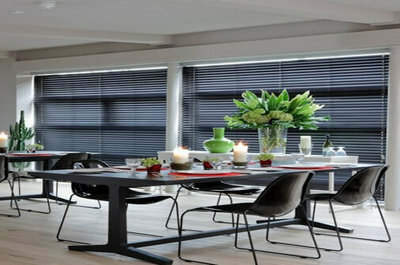 Each blinds project uses top quality, made to measure Venetian blinds. No venetian blinds project is too large or too small. Get in touch online! Our experts will source the perfect solution for your project.